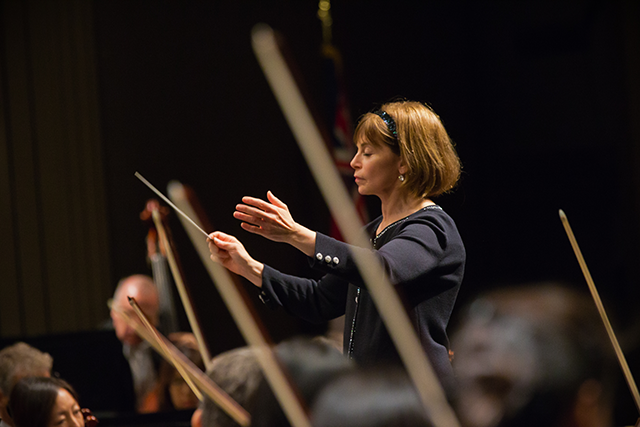 In March of this year, the American conductor JoAnn Falletta recorded two important works by Florent Schmitt: the 1904 symphonic etude Le Palais hanté, Opus 49 and the two suites of incidental music for André Gide’s 1920 adaptation of Shakespeare’s play Antony & Cleopatra (Opus 69). The recording is scheduled for release on the NAXOS label on November 13, 2015, but is already available for pre-order on Amazon and other online music sites. Neither of these scores has been particularly well-represented on recordings. Prior to the new Falletta release, The Haunted Palace has had just three commercial releases — the premiere recording conducted by Georges Prêtre (1983), Leon Botstein (a 2003 live concert recording) and Yan-Pascal Tortelier (2011). 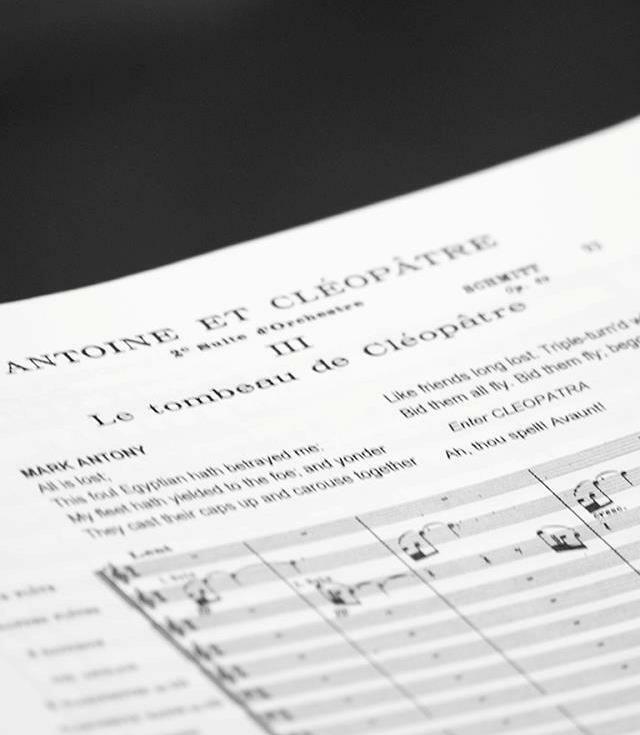 Antoine et Cléopâtre has had even fewer recordings — Leif Segerstam’s premiere recording in 1988 followed by Jacques Mercier in 2008. “The first time I performed this music in 2010 … it was an experiment. I wanted to see how both orchestras … would handle this music because it was in a style that the musicians had not encountered before, with this kind of rhythmic complexity. And it’s very complex music: It’s rhythm that’s going against the grain often – where some of the orchestra is playing something that’s ‘straight ahead’ and others are working with rhythms that seemingly don’t fit, but that are knitted into the fabric of the music. The musicians found that very difficult. It wasn’t predictable to them – perhaps that’s the best way to describe it. Some of the musicians would say to me, ‘This is strange. It doesn’t fit!’ Yet, the more they played it, the more it settled in. 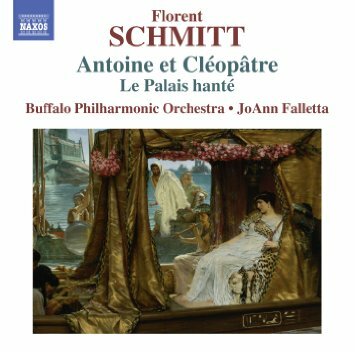 Having attended the Buffalo concert performances and subsequent recording sessions for the Schmitt album this past March, I can state with utmost confidence that Maestra Falletta has the full measure of the music, and that the new recordings are on track to be the best ones yet made of these scores. Recently, I was able to interview the conductor a second time, which gave me the opportunity to ask her about her hopes for the recording. PLN: Tell us what it means to you personally to have made these new Schmitt recordings. JAF: For me, it’s very exciting because it’s a great musical discovery. As orchestra conductors, at a certain point in our careers we’ve done many of the same pieces over and over. There’s nothing wrong with that, of course, but to find a piece of such superb quality — that becomes less likely over the years. So when we find a discovery like that — and then get the opportunity to perform it and even record it — it feels like both a privilege and a responsibility. By a responsibility, I mean this: You know that when people hear it they will be dazzled by the music, but you also hope you’re making the case for other musicians to play it, too. PLN: What makes this Schmitt recording particularly special among the dozens of recordings you’ve made in your career? 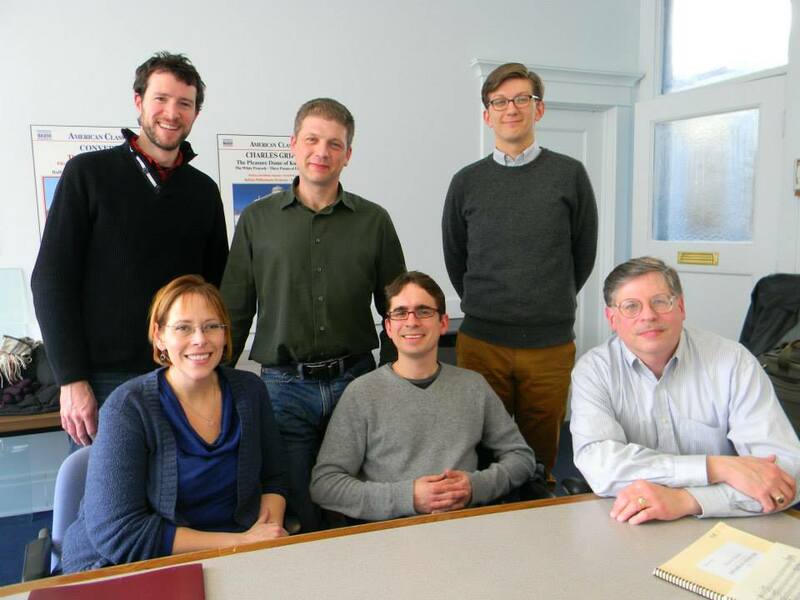 JAF: In Buffalo in particular, we’ve recorded a good deal of lesser-known music — even unknown music. New music and contemporary music as well. There are many wonderful pieces that we’ve done. But in terms of the recordings of lesser-known pieces that I’ve made, to me this material is the strongest musically. Schmitt’s output is music on a different level. It’s music that should be played with Debussy and Ravel — and mentioned in the same breath as Debussy and Ravel. It is a thrill to be able to do something that will introduce people to this great music. 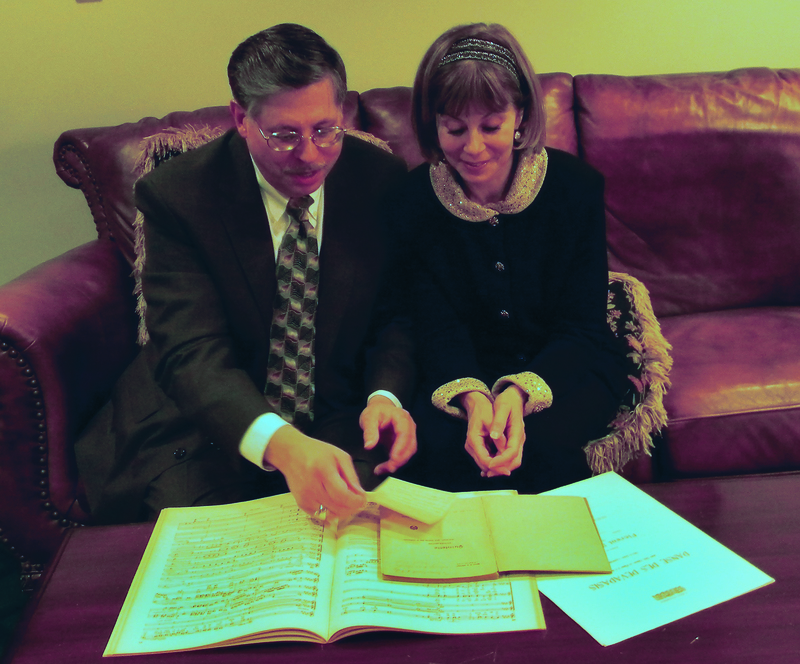 Conferring with conductor JoAnn Falletta on several documents pertaining to French composer Florent Schmitt — a miniature score of Schmitt’s Piano Quintet (1908) inscribed by the composer to Vincent d’Indy, plus a letter sent by Schmitt to Albert Roussel (1912). PLN: What will listeners come away with after hearing this music (in the way of discovery)? JAF: They’ll find that it’s very powerful music. It’s very evocative. It’s in Schmitt’s own language, but there’s enough familiarity in there that listeners will have a reference; it won’t be incomprehensible. Indeed, it’s how Schmitt uses the language that is so fresh — and it’s in his own unique voice. I think people will be surprised, or even shocked, to realize that music of such high caliber is something they don’t already know. PLN: What are your own personal expectations for this recording? JAF: My hope is that through this recording and through the efforts of Schmitt’s ambassadors in the field of music today — myself and others, like you — this composer’s music will begin to appear on symphony programs in the United States as well as in Europe and the Far East far more frequently than has been the case up to now. My hope is that we’ll have many more situations where orchestras and conductors are saying, ‘We have to play this’ — and that this occurrence will be much more common ten years from now. PLN: Are there any other points you’d like to share with us about the composer or the music? JAF: Just this: I’m hoping that the Buffalo Philharmonic players make their own case for the music, too, because our musicians came to really love this music. They found it quite challenging, but they embraced it. They put a good deal of their own effort and personality into it. There was a real desire to play in a really committed way, because they loved it so. I think that this experience has given them their own feeling of ownership about this recording. I am in complete agreement with JoAnn Falletta in her belief that the new Buffalo recording represents a significant achievement. I predict that lovers of Florent Schmitt’s compositions — and anyone else who enjoys French music from the early 20th Century — will find the recording to be full of excitement and drama as well as great beauty — and stunningly played, too. The recording will be released officially on November 13, 2015, but is already available for pre-order here. This entry was posted in Classical Music, Composers, French Composers and tagged Andre Gide, Antoine et Cleopatre, Antony & Cleopatra, Buffalo Philharmonic, Edgar Allan Poe, Florent Schmitt, Georges Pretre, Gide, Haunted Palace, Jacques Mercier, JoAnn Falletta, Klaus Heymann, Leif Segerstam, Leon Botstein, Palais Hante, Poe, Schmitt, Virginia Symphony, Yan-Pascal Tortelier. Bookmark the permalink. « Made for the stage: The incredible life and career of dancer and dramatic actress Ida Rubinstein … and her 20-year collaboration with French composer Florent Schmitt. Marvelous interview with a great and exciting conductor. I can’t wait to hear the recording. I love the Schmitt that I know.